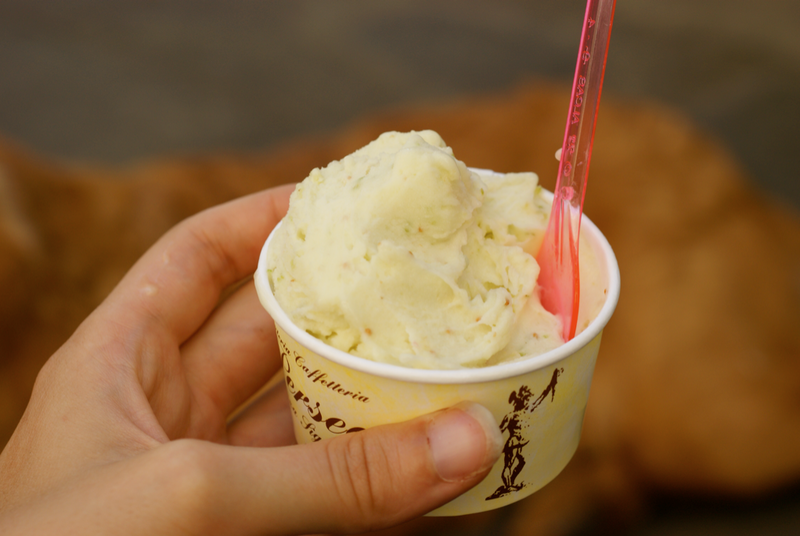 Here, as promised, is a post all about the gelato I ate in Italy (see: A trip to Italy...). 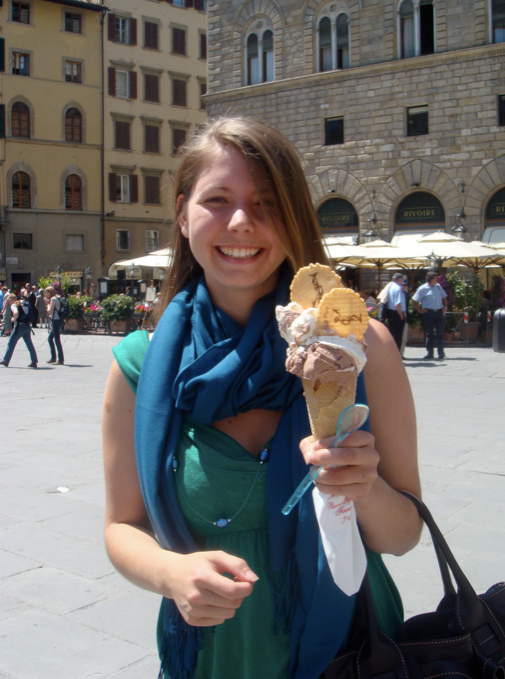 When I spent a month traveling around Italy during my gap year, I ate a lot of gelato. 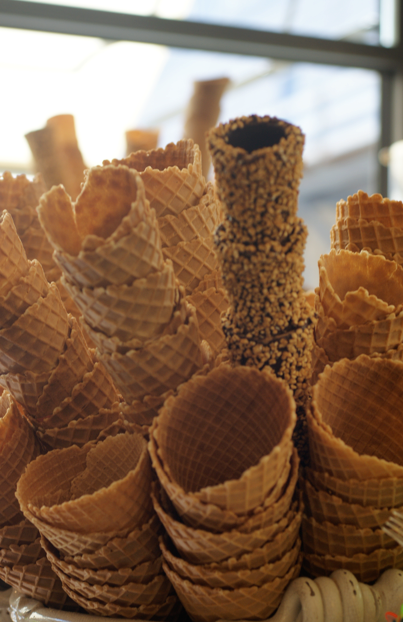 We ate at least one cone a day. This was a bit greedy, I'll admit, and my waistline gave away my indulgences. Yet as a result, I've tried a fair few flavours and a fair few gelaterias. 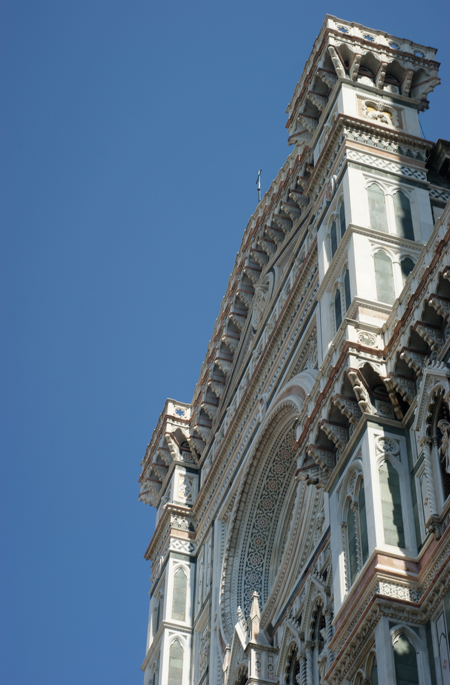 By far my favourite was a little coffee bar in Florence where I had an astounding cone of amaretti and bacio. B, the friend I was travelling with, had more bacio with some wonderful raspberry. You only have to look at my big cheesy grin below to know how excited I was (this photo also makes me aawwwh at how young I look). 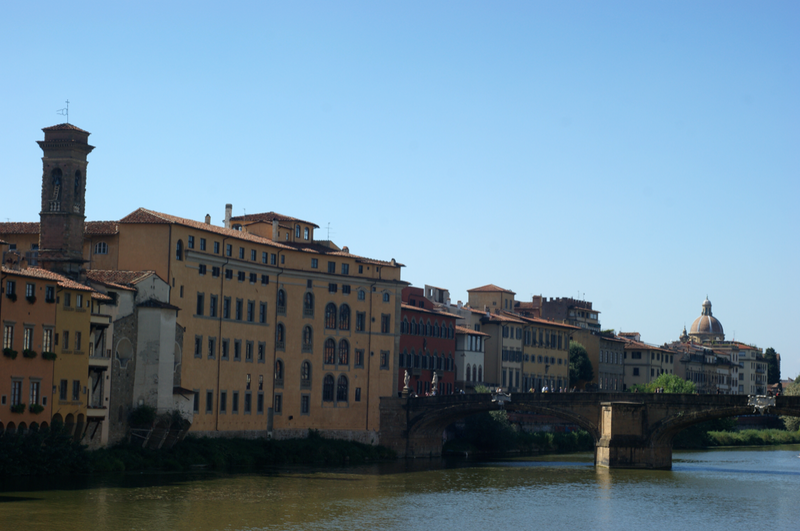 Hence when we thought I might go to Italy, Florence was where I wanted to head. Never mind the beautiful city, it had the gelato! As we headed into Florence, I was getting a bit nervous. I hadn't written down the location when I had been there last and I was going on a vague memory of where it was. I was worried it wouldn't be as good as I remembered. I was worried it wouldn't live up to my expectations or my mum's, after all my rhapsodizing. I had nothing to worry about. I found it easily. It was just as spectacular as I remembered. 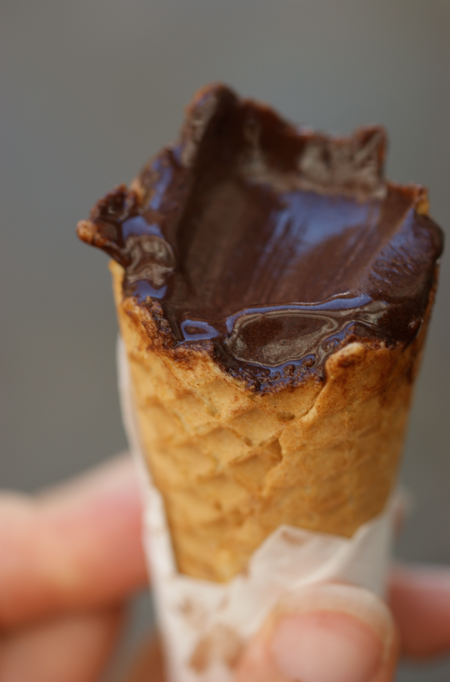 I had a cone of creme caramel and black chocolate. The creme caramel was lovely and smooth, if the least inspiring of a great bunch. The black chocolate was jaw dropping. Absolutely stunning. Just look below. 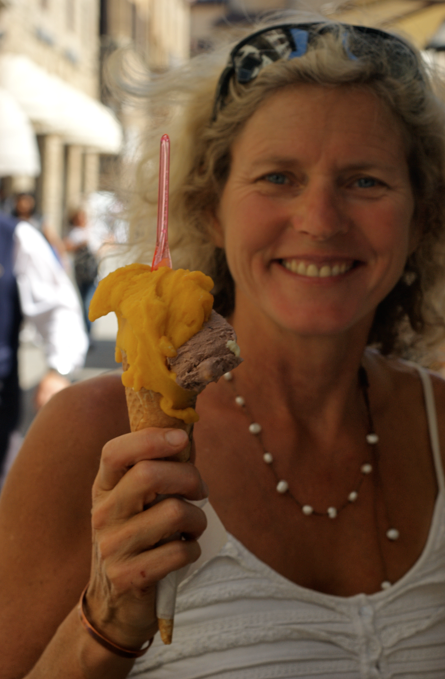 Mum had a cone of the reliably great bacio with some mango. Another big grin! After we had finished, we went and did a bit of sightseeing. A few hours later, another scoop seemed impossible to resist. ...and so we returned. Mum had some coffee gelato after the choice became too much and it was closest. As a non-coffee drinker, the espresso flavour was a bit strong for her. I thought it was pretty fabulous. 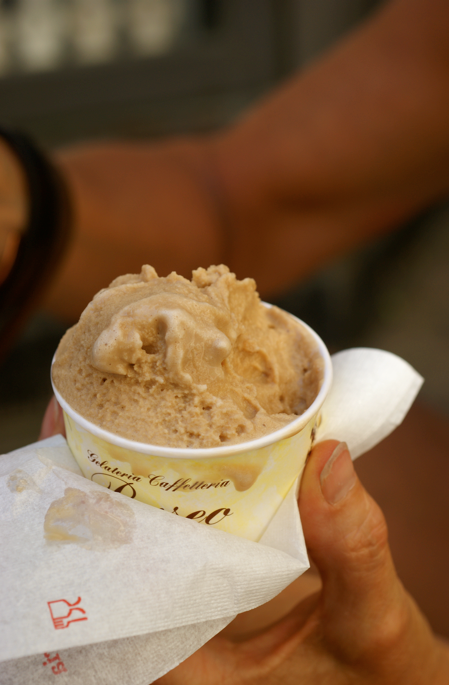 Italian coffee and gelato all in one = winner. As I had stood choosing my first scoops, the fig had caught my eye. I adore figs. My second go around had to be it. It was so delicate and just... words keep on failing me. I love gelato. I love food. So there you have it: my favourite so far. I can't in any way claim to be an expert on Florence's gelaterias or indeed gelato itself, but I couldn't help but share. Gelateria Perseo, Piazza della Signoria, Firenze. It's in the corner by Chanel, diagonal from the copy of David. I guessed that was Florence from the first shot, we have good friends there and it's high time we went back to visit them. Fabulous ice creams! I remember having amazing cherry gelato in Rome. 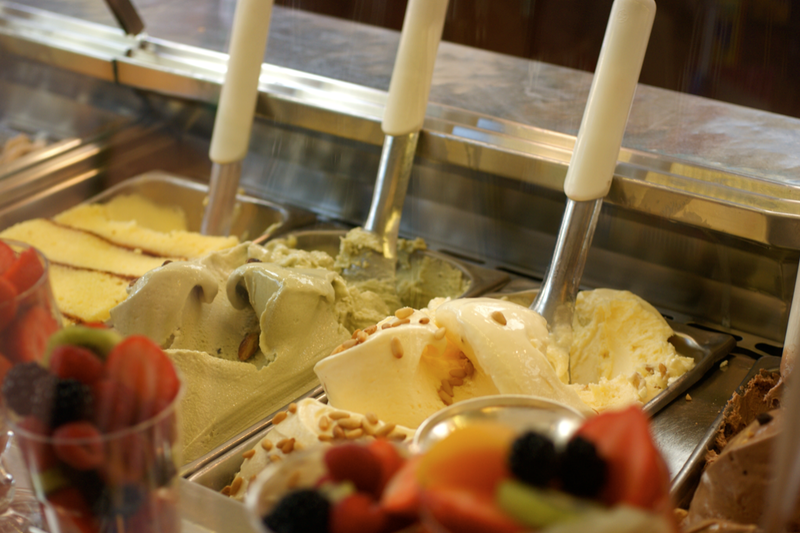 Although my first Italian gelato experience was in Florence. Don't ask me where it was all I know is that it was in a piazza that had a building with a horse statue. I've had that gelato!!!! ahhh sweet memories. and that is by far the best in town. made me fall in love with the pine nut variety. 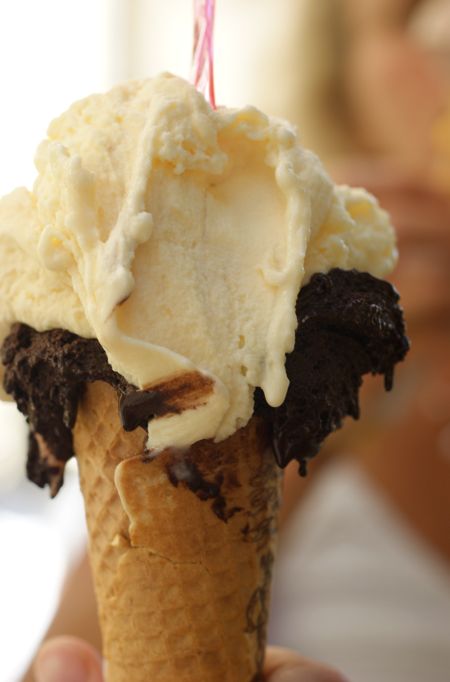 What's better than having a large cone of gelato in Italy! !